The title of the recent article “The More Feathers a Male Sparrow Carries to the Nest, the More Eggs the Female Will Lay” from Science Daily, sums up the very point of the news piece. While not too surprised that a good provider would generally encourage more offspring from a mate, it was still interesting to me to learn that female house sparrows (very good customers of ours) will spend more energy in laying eggs in a nest lined with an abundance of feathers supplied by the male. The more feathers there are, the more insulation from cold for the chicks, increasing their survival rate. I like the lady birds thinking. 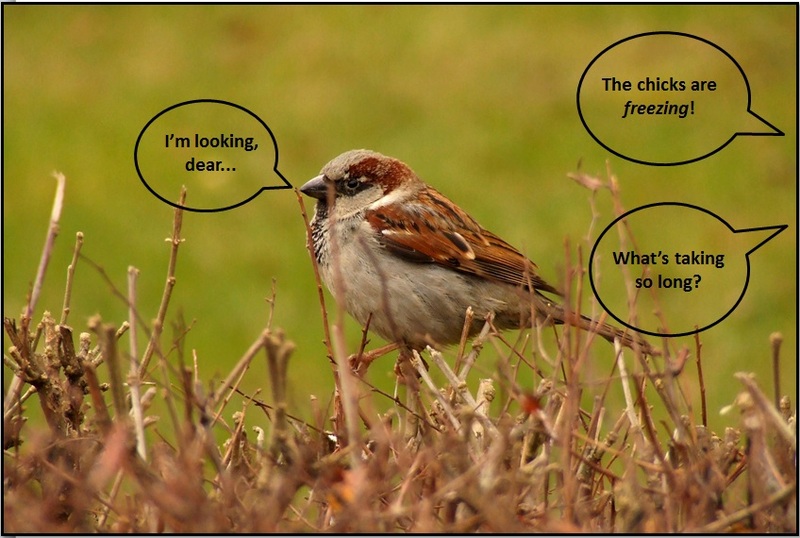 If you’re not the biggest bird fan or maybe just not a fan of house sparrows, consider what these bird couples do that are not so unlike us. ← What is Black and Orange and Awesome All Over?